Goleta, Calif. (December 17, 2015) — The boys of Woodlands XC, Woodlands, Texas, and the girls of Green Hope XC, Cary, North Carolina, earned the Postal Nationals Championship titles as HOKA ONE ONE® (a division of Deckers Brands NYSE: DECK) wrapped up a second successful year of the revived competition. Growing by over 700 percent since 2014, the Postal Nationals featured more than 650 high school teams from around the nation. Woodlands XC, the boys championship-winning team, hails from The Woodlands, Texas. Perennially one of the top high school distance programs in the country, The Woodlands boys also finished 6th at the Nike Team Nationals and won their 18th Texas 6A State Title this season. The team averaged a blazing 9:20 over 3200m for their top-five boys. Among the girls teams, Green Hope XC of Cary, North Carolina emerged victorious. 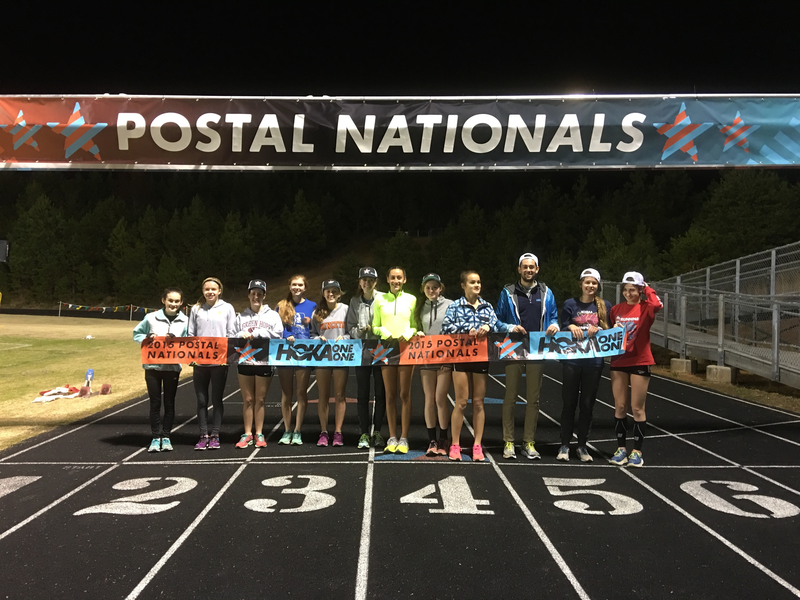 Running at the Postal National Flagship in Winston-Salem, they averaged 11:18 for 3200m. While the girls were runner-ups at the North Carolina 4A State meet, they saved their best for last and are Postal Nationals Champions. Reviving a tradition from the 1970’s, the HOKA ONE ONE Postal Nationals allows high school cross country teams from every state to compete against each other in a timed two-mile race on the track. To receive a ranking, teams average and then submit the time of their top five finishers. HOKA ONE ONE’S Postal Nationals provides an open, democratic format, where every team in the country gets the chance to compete to be crowned national champions. This year’s championship teams will also receive a visit from Olympic 1500m Silver Medalist Leo Manzano. The 2016 HOKA ONE ONE Postal Nationals will kick off in August 2016. All information, including rankings, can be found at www.hokaoneonepostalnationals.com. Questions? Email postalnationals@deckers.com.